For additional information about this book, visit the website TRANSFORMYOURLIFETHROUGHLOVE.COM. An amazing, insightful book with the answers to realizing your personal relationship with God! The reason we are here in physical form is to love and be loved. Everything else is just noise. Learn to keep your personal power by no longer becoming offended by people’s comments or actions. Author Daniel M. White has been walking his spiritual path to Divine-God for some time and knows all the ups and downs of life. 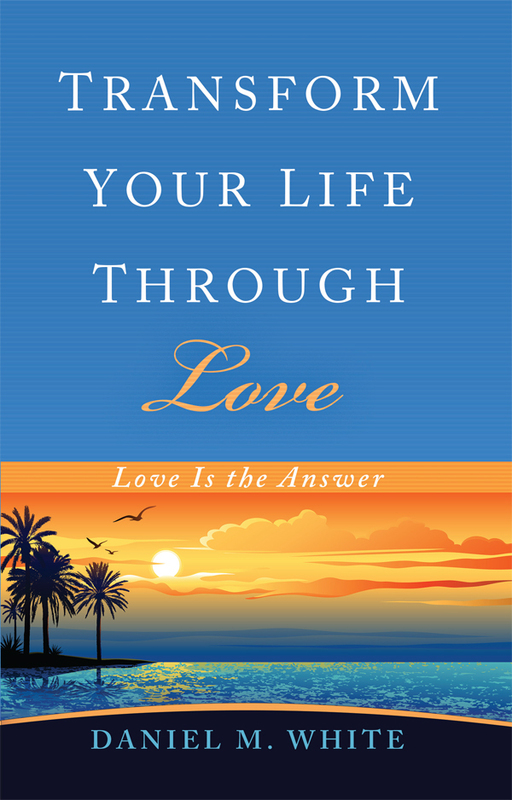 Throughout his life’s journey, he has experienced many highs, as well as many lows, and through it all he has come to realize and recognize that LOVE is the answer to any question or dilemma. In Transform Your Life Through Love, Daniel lays out 11 realities that govern our lives while we’re on this earth in physical form. He makes it clear that we are all searching for the meaning of life, and creating our own realities. He desires us, as human beings, to realize it is essential to create profound LOVE and is a vital key as we walk our own spiritual path to Divine-God, causing us to live in abundance. My book; "Transform your life through Love" Is a spiritual self help book. It's about stopping the hating (including ourselves) and return to love. We need to learn to love and accept ourselves as Divine-God inspires realizing we're made in His perfection in what God has made perfect no one can make imperfect no matter how hard we try. We are Divine-Gods' love energy manifested into human form as we are loving thoughts, loving expression and loving actions. We're all one, the same God that created them also has created us, and we're the measure of where we came from the Creative Source Energy of the Universe. We are battling the Ego-god our nemesis who's purpose is to keep us separated from Divine-God, our divinity and the magnificence of a creation. Daniel enjoys being a spiritual life coach and assisting others in fulfilling their lives with love, joy, peace, and happiness. He has two adult children, Danae and Brendan, and for the past twenty-five years, he has been self-employed, owning a financial service business. He is looking forward to teaching “divine love” seminars and showing others how to walk in unconditional love.